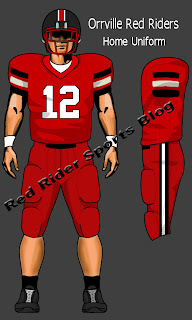 Breaking from tradition, recent tradition anyhow, The 2009 Orrville Red Rider football team will have five captains. If two are co-captains, three are tri-captains, four are quad-captains.....would five be quint-captains? The mind boggles. Congrats to Chase Hoobler, Sam Miller, Dillon Corbett, Victor Monheim and Vincent Monheim, who were selected by their teammates to represent the team. 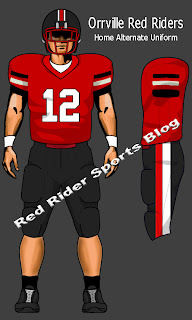 "Red Pants > Black Pants"
If you need visuals, look here and here. There really is no comparison. UPDATE: This was a question that was emailed to me....it asked if Orrville has ever had captains that were also twins? I can only think of a few sets of twins that even played for Orrville (before last season when we had 4 sets on one team). If anyone can shed some light on this, please email me or post it in the comments section. Were the Short brothers captains?